There are distinct benefits that come with success, not the least of which is the confidence to stand strong in uncertain times. Because, at the end of the day, the only person you answer to is in your mirror. This is what has constantly driven Vrutika Dawda, the Director of IdeateLabs. Where others see insurmountable challenges, she searches out opportunity. When others withdraw, she stands her ground, spurring her team to find vulnerable seams in the problem. No matter what life slings her way, she has always believed that the strength achieved in numbers is better than just alone, and that is what she has helped foster in the team that she is charged with. She knows that the seeds of camaraderie make a better culling in the long haul, and she has cultivated precisely that at IdeateLabs. The panel at “Femina presents 5th World Women Leadership Congress & Awards” chose to recognise her efforts by conferring her with the prestigious Women Super Achiever Award for Excellence in Corporate Management. As an event that celebrates outstanding leadership and achievements demonstrated by women in charge, Vrutika now humbly ascends to take her place in that galaxy of stellar women leaders. 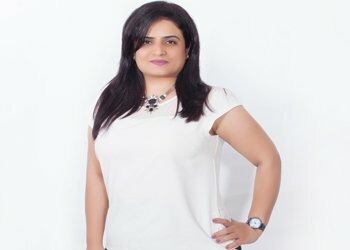 Vrutika’s sensibilities and industry has long helped her see the running of a business as more than just rising profit margin or swelling balance sheet. Her greatest and consistent contribution has been to support and bolster the confidence of those who look up to her for succour and guidance.